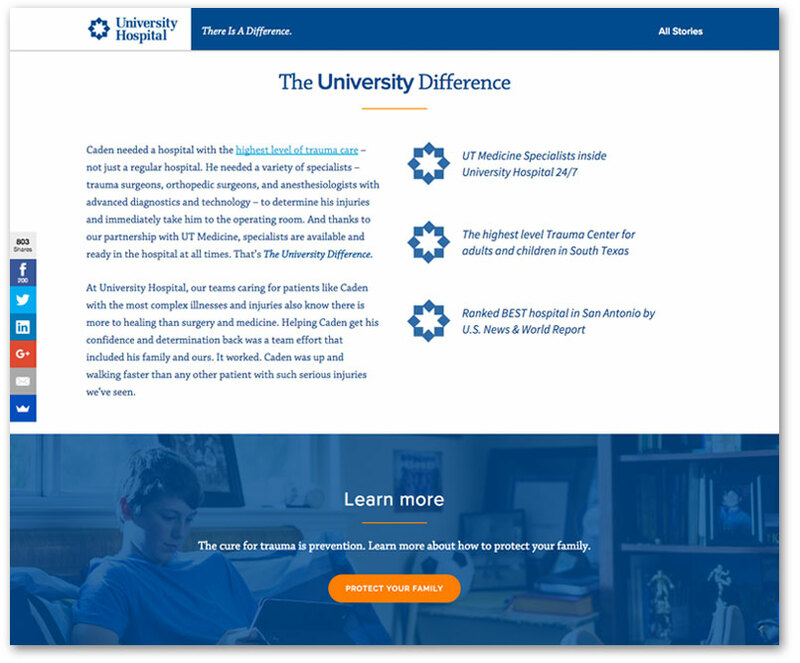 Vuepoint was tasked with building a strong landing page for a diverse marketing campaign that spans the web, TV, radio, and print for University Health System, San Antonio’s #1 hospital. This mobile compatible mini-site serves as the end goal for all of the various campaigns. 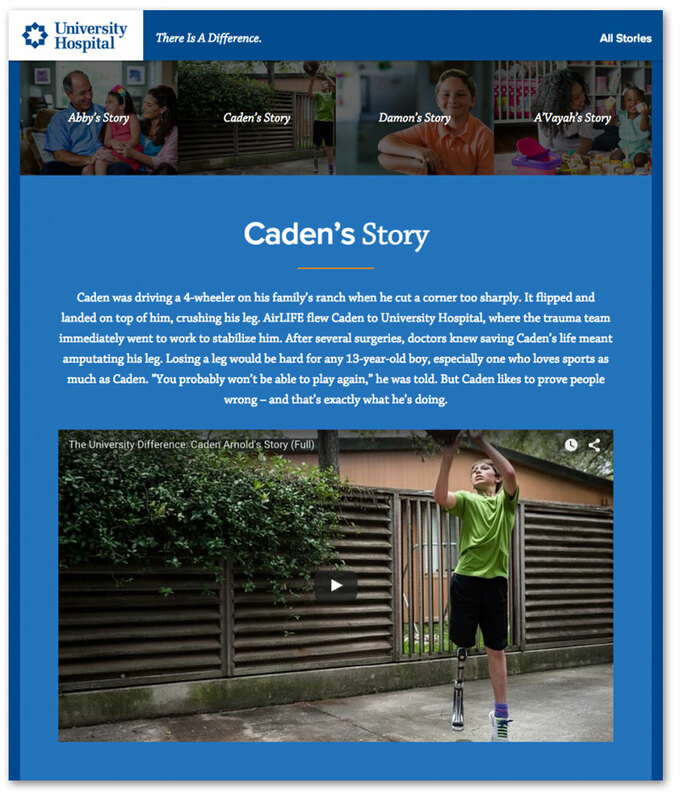 Built on WordPress for easy management, the mini-site features several videos telling the story of some of UHS’ patients. 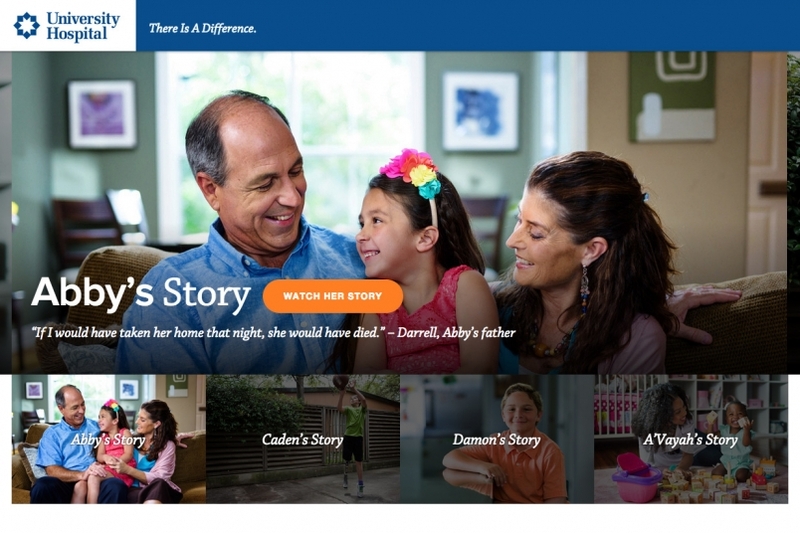 The website features the stories of four amazing children. The user is guided to click on a story where they can view a quick intro to each child along with a video. Each video highlights “The University Difference”. In Caden’s case, it was University Hospital’s highest level trauma center and around-the-clock specialists. 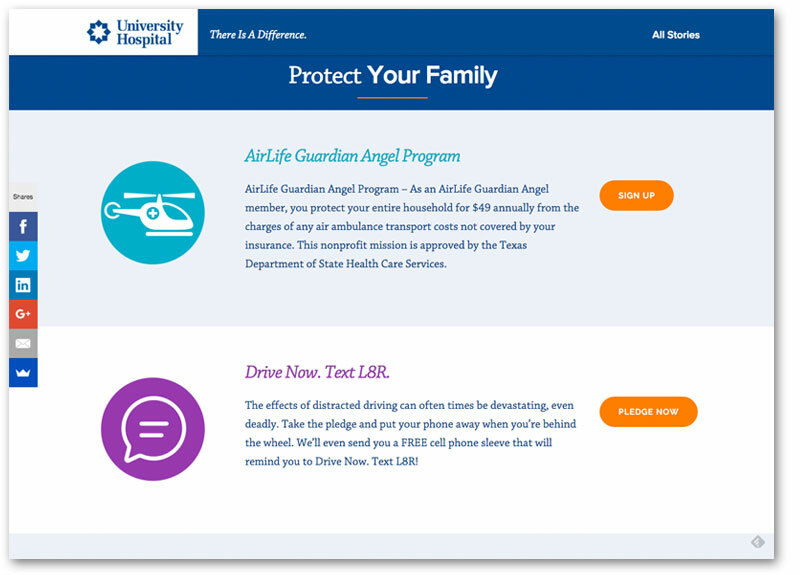 If the viewer is compelled to learn more about University Hospital and their trauma prevention tips, they can sign up for the “AirLife Guardian Angel Program” and take different pledges to create a safer community. The campaign not only raises awareness of University Hospital and it’s highest level trauma designation, but also of their related community initiatives. In the end, we wrapped up the campaign and were happy to report that through all of our digital marketing efforts, we pushed over 38,000 unique visits to the campaign site. These visitors went on to create a total of 46,980 page views over the nearly 5-month campaign. Our top source of traffic stemmed from Facebook with over 11,000 visits. When comparing these numbers to traditional advertising sources like television or billboards, there’s no comparison. Today’s audience is most likely to engage digitally. Be sure to check out each patient’s story at The University Difference.